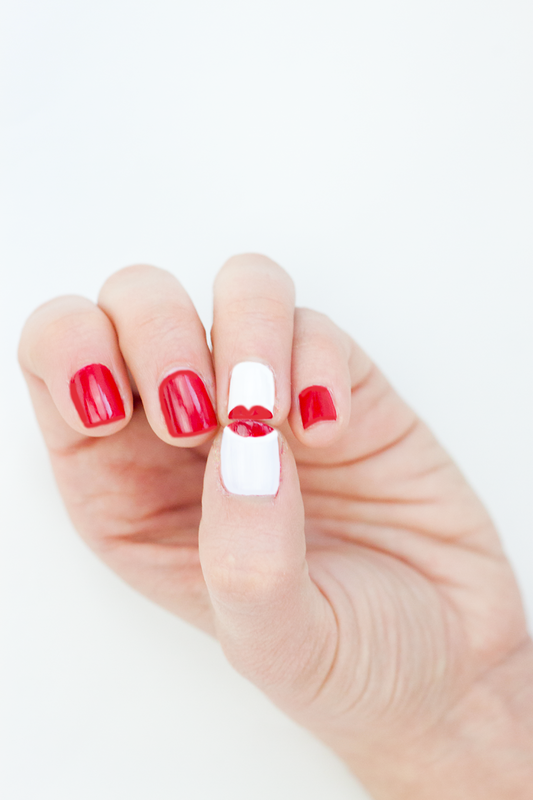 I love holiday manicures as much as the next girl, but when the plaid and candy cane motifs I would have normally gravitated towards started to feel a little cliche, I figured a cheeky, Lulu Guinness-inspired lips mani would be the perfect way for my fingers to parlay into party season. The only thing that would have made this mani even better is glitter nail polish (sparkly lips! can you imagine? ), but ain't no body got time for taking glitter polish off, am I right? Mmmmm hmmmm.